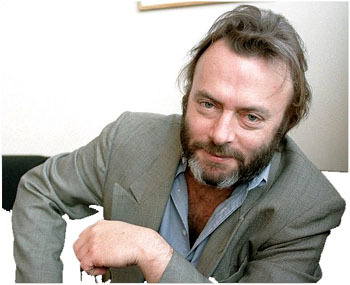 Christopher Hitchens was memorialised for his passionate contribution to political writing. In the name of the Prize, Peter Hitchens, himself an Orwell winner, presented a Memorial to Carol Blue, Christopher’s widow. Christopher Hitchens, the writer and commentator once described as the heir to Orwell, died last year at the age of 62. His final book Arguably was longlisted for this year’s prize and his memoir Hitch-22 was shortlisted for the 2011 Orwell Prize for Books. His books, journalism and more recently blogs have shaped political writing and thinking for a generation. We are especially delighted to welcome Christopher Hitchens’ family and children to the Prize. Ian McEwan wrote of Hitchens that, “His unworldly fluency never deserted him, his commitment was passionate, and he never deserted his trade. He was the consummate writer.” Hitchens carried Orwell’s ambition “to make political writing into an art” forward and made it his own: he crafted a literate politics that helped form a world view. A Special Prize for Lifetime Achievement was awarded to documentary-maker Norma Percy. Executive producer at Brook Lapping, Percy’s most recent work was Iran and the West for BBC Two, with previous documentaries including The Death of Yugoslavia, The Second Russian Revolution, Israel and the Arabs: Elusive Peace, Endgame in Ireland and Watergate. She was awarded (jointly, with Brian Lapping) the BAFTA Alan Clarke award in 2003 and the RTS Judges award in 1996, and her work has won a number of other major prizes (including an Emmy). She was presented with the Trustees’ Award at the Grierson Awards 2009. 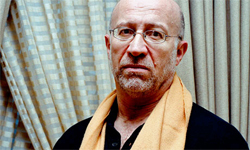 A Special Prize for Lifetime Achievement was awarded to Tony Judt, whose book Reappraisals (William Heinemann) had been shortlisted for the Book Prize. Although sometimes overshadowed by fiction and poetry, history and the essay are just as much branches of literature, and indeed of ‘creative writing’, and they have produced much of the best writing of our age. Even in a rich field of brilliant historians, the name of Tony Judt stands out. From his first scholarly work on socialism in nineteenth-century Provence he came nearer home with his learned but also coruscating Past Imperfect: French Intellectuals, 1944-1956, describing the “self-imposed moral amnesia” of those intellectuals, and then the crowning achievement of his magnum opus, Postwar. But like other great historians before him he has also engaged in public debate, becoming a politicologue – a word for which we need an equivalent – and controversialist, whose essays, largely in the New York Review of Books, have been distinguished by their intelligence, insight and conspicuous courage. His collection of these essays, Reappraisals, was a strong contender for this year’s Book Prize, but the judges felt that Judt’s work as a whole deserved special recognition. If there is – in the best sense – an ‘Orwellian’ writer in our time, it’s Tony Judt, and it is an honour to bestow honour upon him. 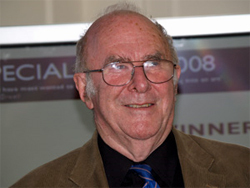 Clive James was awarded a Special Prize for Writing and Broadcasting after being shortlisted for the Journalism Prize 2008 (for three editions of A Point of View on BBC Radio 4). He has been a staple of British screens, airwaves and publications since the early 1970s. A writer, poet, essayist, broadcaster and commentator, he has written for The Listener, the New Statesman, the Review, The Observer, The Guardian, the LRB, The Spectator and the Times Literary Supplement. He has presented (and created) television programmes including Fame in the 20th Century, Clive James’ Postcard from… and Clive James on Television. Clive James is a master, in the Orwell tradition, of the essay. Whether written or broadcast his words are sharp but humane. 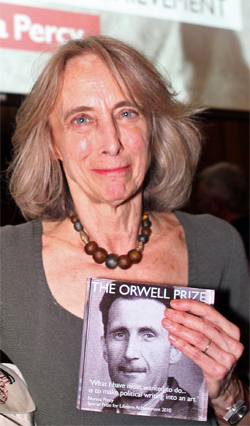 At the ceremony for the Orwell Prize 2007, a Special Prize was awarded to Newsnight, BBC2’s flagship current affairs programme. 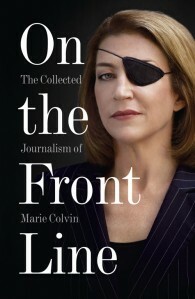 When we were discussing the many very fine pieces of journalism that were submitted Newsnight just spontaneously emerged in our deliberations as the most precious and authoritative home for proper reporting of important stories, beautifully and intelligently crafted by journalists of rare distinction. We unanimously believed that its values of objective intelligent news ought to be rewarded. We did not set out to award this prize – it plays a role in the collective intelligence of the nation. When Newsnight won the Orwell Prize in 2007 we felt honoured for two reasons. First, this was not a competition we had entered – the judges had simply decided that the work we do on Newsnight deserved recognition. And second, we were delighted to be associated with a prize which seeks to celebrate the principles of Orwell’s journalism – to make politics and political thought accessible and artful. The late Hugo Young, The Guardian’s senior political commentator, was honoured with a Special Prize at the Awards Ceremony 2004. He had been shortlisted for the Book Prize for Supping with the Devils: Political Journalism from Thatcher to Blair, but the judges instead presented his family with a Special Prize recognising his outstanding contribution to political journalism. 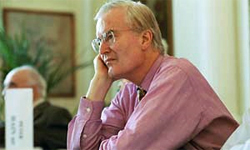 David Lipsey was awarded a Special Prize in 1997 for his work as ‘Bagehot’ in The Economist, having been highly commended by the judges over the following three years. David Lipsey was raised to the peerage as Baron Lipsey, of Tooting Bec in the London Borough of Wandsworth 1999 (Labour). He has been a political adviser to Anthony Crosland in Opposition and an adviser to 10 Downing Street. 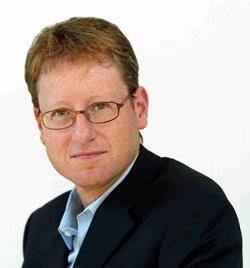 He has worked as a journalist for a variety of different publications including the Sunday Times, Sunday Correspondent, The Times and The Economist. In his spare time he likes to do the following: golf, harness, horse and greyhound racing, opera, walking and cooking.